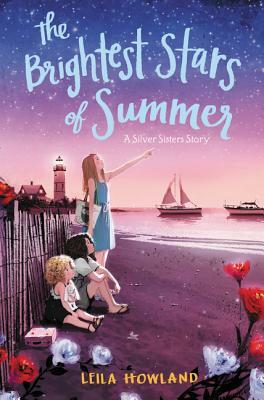 The Silver sisters return to Cape Cod in this sequel to The Forget-Me-Not Summer, which ALA Booklist called “reminiscent of the Penderwick series” in its starred review. Wedding bells are ringing on the Cape! It’s summer again, and Marigold, Zinnia, and Lily are heading back to their beloved Pruet to help bride-to-be Aunt Sunny plan her big day. But cake and decorations aren’t the only items on the girls’ agenda this summer. Marigold can’t wait to escape the embarrassment of being cut from one of Hollywood’s biggest blockbusters—especially after she bragged to all her friends that she was in it. And Zinnie is trying her hardest to write a story good enough to gain her admittance into an elite writing program. She finds unexpected inspiration in Marigold’s heartbreak over last summer’s crush, Peter Pasque. Zinnie also meets her first boy-who-is-a-friend, a cute kid named Max. But when it becomes clear that Max has eyes for Marigold, Zinnie can’t contain her hurt, and it leads her to betray Marigold in an unthinkable sister crime. With a wedding on the horizon and tension simmering between them, will the Silver sisters be able to overcome their hurt in time to give Sunny what she’s already given them: a summer to remember?